Puerto Rico's economic crisis has forced residents to leave the troubled island for greener pastures in the U.S. mainland in numbers unseen since the Great Migration after World War II. Census data shows that from 2010 to 2013, about 144,000 more people left Puerto Rico for the mainland than those headed for the island. As the island's population shrinks, the stateside Puerto Rican population has grown to a record 4.9 million in 2013, surpassing the island's population of 3.5 million since 2006, according to a Pew Research report released Monday. "The Census Bureau has projected that through 2050, unless something changes, the population decline is going to continue and that would make Puerto Rico one of the few places in the United States that actually has a decline in its population," said Mark Hugo Lopez, director of Hispanic research at the Pew Research Center. The reason behind the island's mass exodus stems from the lack of job opportunities, according to the report. The island's economic dire straights was fueled both by the U.S. recession and issues unique to the island, like the end of corporate tax breaks that led to business shutdowns and government layoffs. The unemployment rate in June was 13,1 percent, compared to the mainland's 6.1 percent. "The recession has led to the first sustained population decline for the island in its history as a U.S. territory," Lopez said. Puerto Rico is a U.S. Commonwealth and its residents are U.S. citizens. Puerto Ricans living on the mainland are the second largest Hispanic group after Mexicans. About 23 percent of mainland-born Puerto Ricans live in New York, while Florida is home to 25 percent of those born on the island. The Northeast retains the largest share of Puerto Ricans--both mainland and island born--but other regions, especially the South, have become popular destinations, the report said. 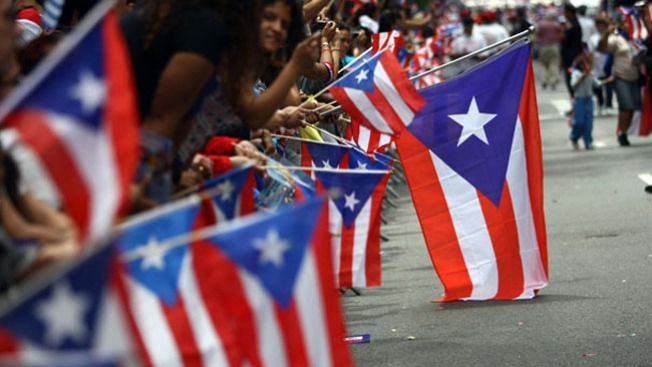 From 1980 to 2012, the South's Puerto Rican population rose by nearly 700 percent. Recent arrivals from the commonwealth are also less well off and more likely to live in poverty than their predecessors, the report said. "This current wave of migration, which is the largest migration wave that we've seen since the 1950s from the island, is one that is not necessarily one made up of the top end of the educational distribution," Lopez said. "It's not college grads that are coming. It's people that have some college education. Mainland-born Puerto Ricans are younger and make more money, with poverty less likely to affect their children and the elderly. They are more likely to attend college than their island counterparts, the report said.